Write NAME in gift message box when checking out. 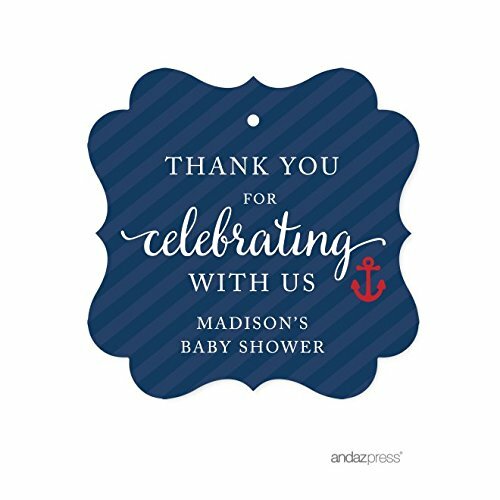 INCLUDES: 24 fancy frame gift tags, designed by Andaz Press. Does not include ribbon or twine. SIZE: 2-inch with small die cut hole at top for baker's twine, string, or ribbon. Properties: Matte finish. Printed on high quality paper, with vibrant colors. Actual product color may vary due to differences in monitor settings. © Andaz Press. Original design by Andaz Press ®. All rights reserved. Come by www.andazpress.com and say hello! If you have any questions about this product by Andaz Press, contact us by completing and submitting the form below. If you are looking for a specif part number, please include it with your message. Lillian Rose Woodland Baby Shower Guest Signing Canvas, Neutral, 11.75"